Three people have been charged in connection with the death of a woman found dead in woodland near Leeds. 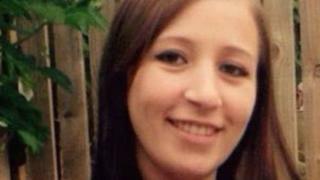 The body of Sinead Wooding, 26, was discovered by joggers near Alwoodley Crags car park in Stairfoot Lane on Sunday. Police said Akshar Ali, 26, of Kings Road, Leeds, and Yasmin Ahmed, 27, of Reginald Mount, Leeds, have been charged with her murder. Asim Ali, 20, of Kings Road, has been charged with assisting an offender. All three will appear at Leeds Magistrates' Court on Friday.